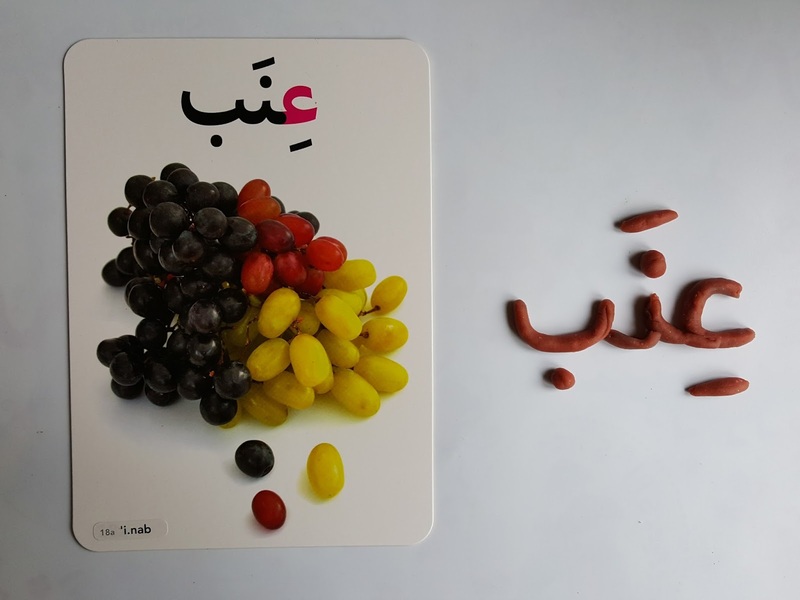 Flashcards are a great resource for language learning. They aid learning by stimulating the memory by a process called active recall. This helps to consolidate information in your long-term memory. 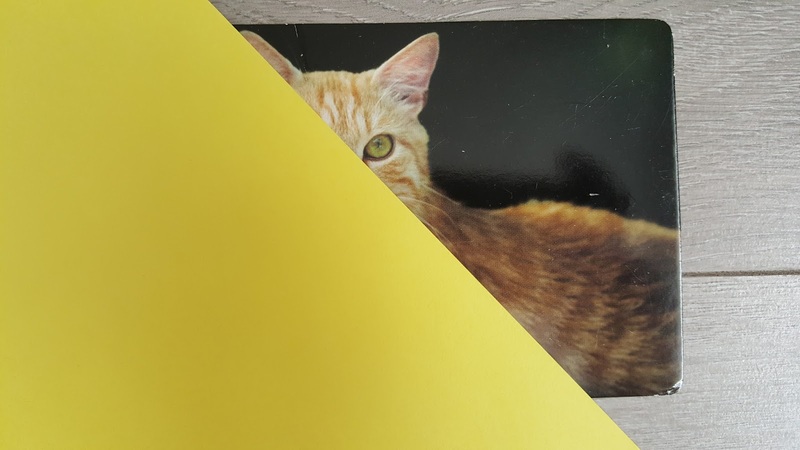 In other words, the more you see or use a flashcard the more likely that information will move from your short-term memory to your long-term memory. Things that are stored in your long-term memory you are unlikely to forget. 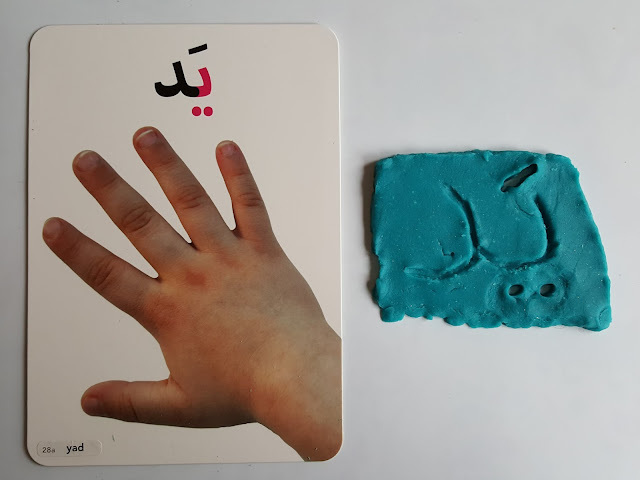 Prechoolers can use them as an aid to learning their native language and they can also be used, by children and adults of all ages, to help learn a foreign language. As a Speech and Language Therapist they are one of my go-to therapy resources. As a Home Educator, I find them an excellent addition to our homeschool supplies. If you are a parent or teacher, they can come in handy for you too. There are so many ways in which you can use flashcards. Here are some ideas. Lots of flashcard sets contain cards which have letters or words on them. 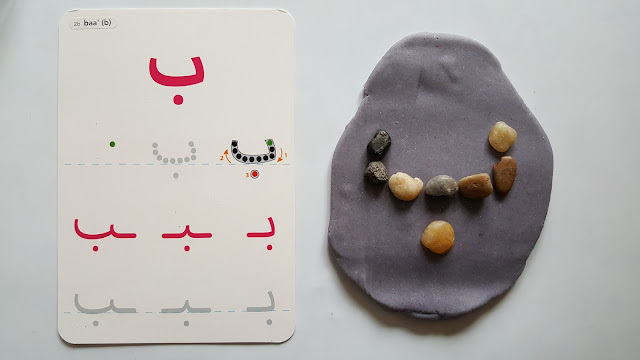 Therefore you can use them to practise reading and writing the letters and words. If you have young children, try to make this as fun as possible. Think of ways in which you can get them writing without a pencil. Play dough is a great mark-making medium. 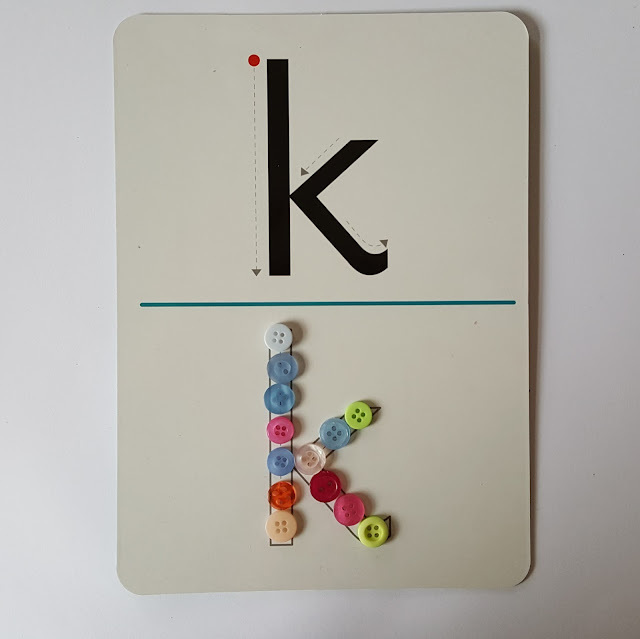 Place cards near the play dough and see if your child can use a finger or stick to draw the letter or word in the play dough. Alternatively, roll the play dough into sausages and bend these into the shapes of each letter. 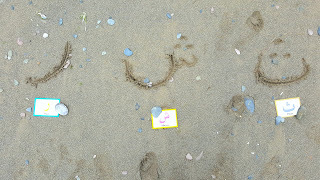 Fill a tray with salt and ask your child to draw the letters or words in the salt. This can also be done using a finger or stick. 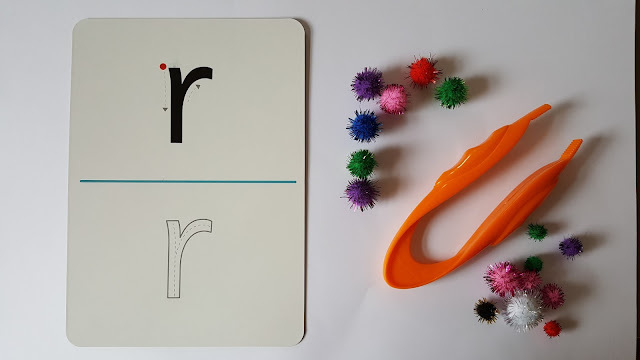 Give your child a pot of small parts such as pompoms, pebbles, buttons or beads to use to create the letters and words shown on the flashcards. 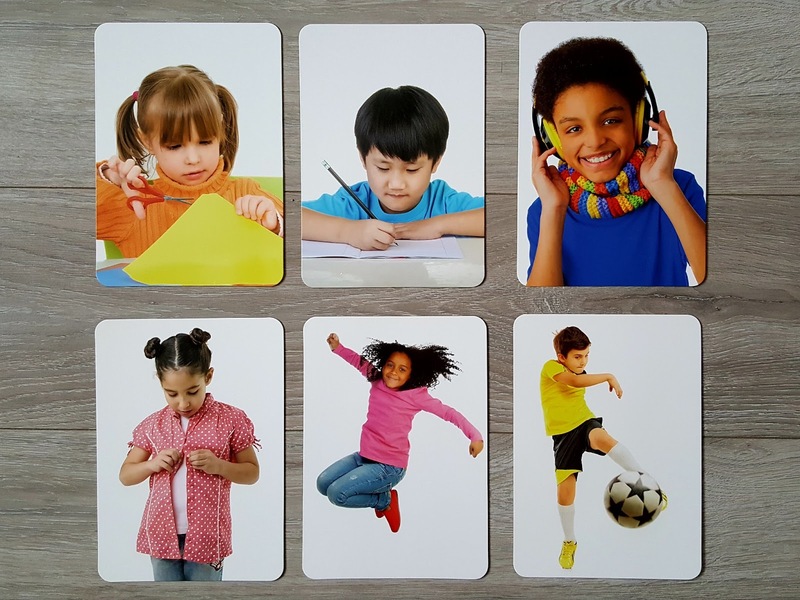 These action flashcards are a great resource for role play. Say a word and ask your child to act out the action. Then get the children to test each other. Alternatively, ask your child to pick a card without showing anyone. Then they can act out the action and the other children have to guess which action they are doing. My children have had a lot of fun doing this! Lay out some flashcards and give your child some objects that match the cards. 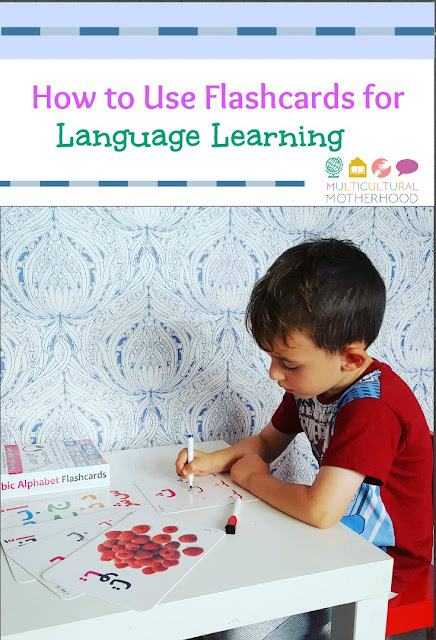 Then see if your child can match the object to the flashcard. 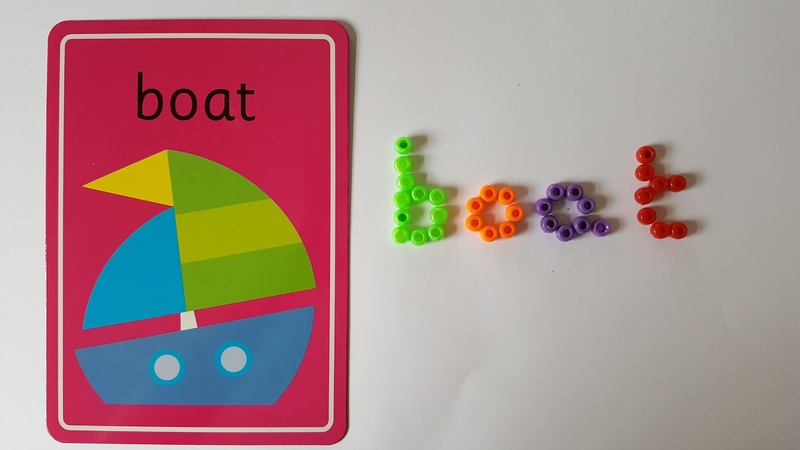 My toddler loved doing the above activity. 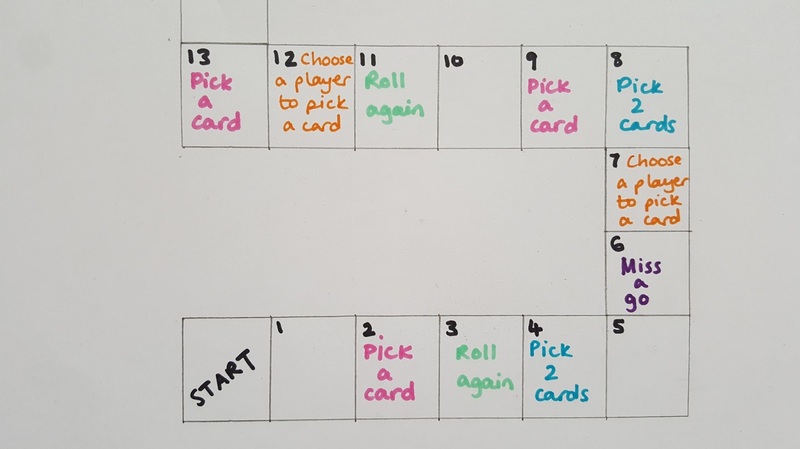 Here are some more articles showing flashcard matching activities. Children love hide-and-seek games. Hide the cards around the room when the child is not looking. Perhaps send them out of the room while you do this. Call them back in and ask them to find the cards. When they find a card, ask them if they say say the letter or word shown on the card. Give each child a colour card and asked them to find things around the house that were the same colour. You can do the same for other categories too, such as shapes. 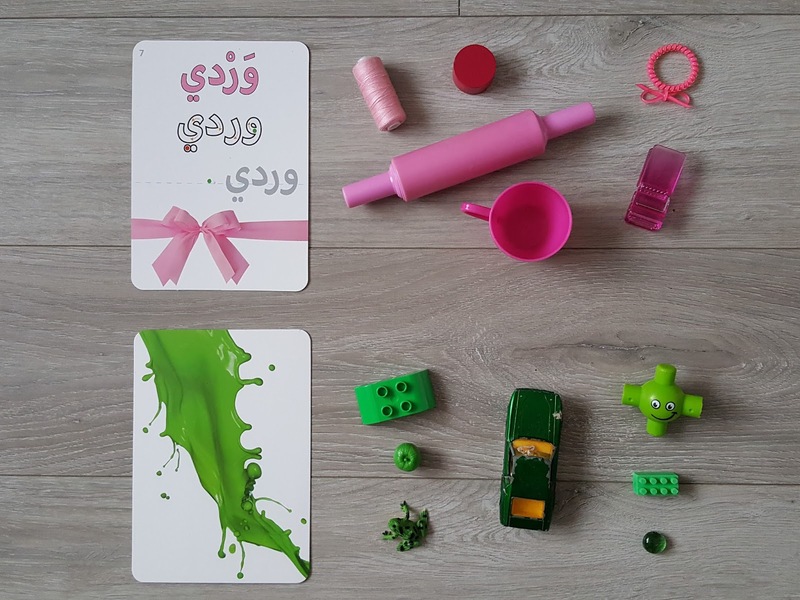 Once they have collected their items you can talk about them and teach the children the names of the objects in your target language. If the weather is nice, why not try these activities outdoors! 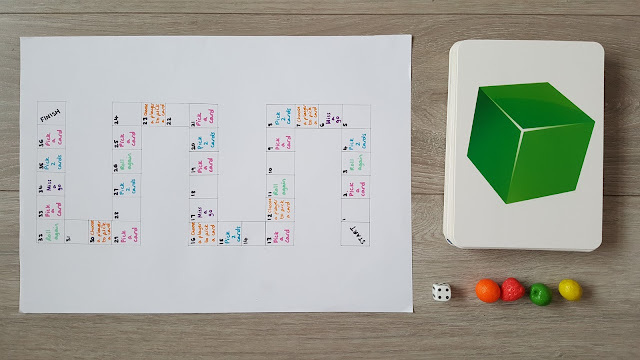 Creating your own board game can be a lot of fun. Get a sheet of A3 white paper and draw boxes on it. Number each box and write different instructions, such as 'pick up a card' and 'pick up 2 cards' and 'miss a go' in certain boxes. Put a set of flashcards in a pile and when the children land on a box that tells them to pick up a flashcard, they pick it up and either say the word or write the word. 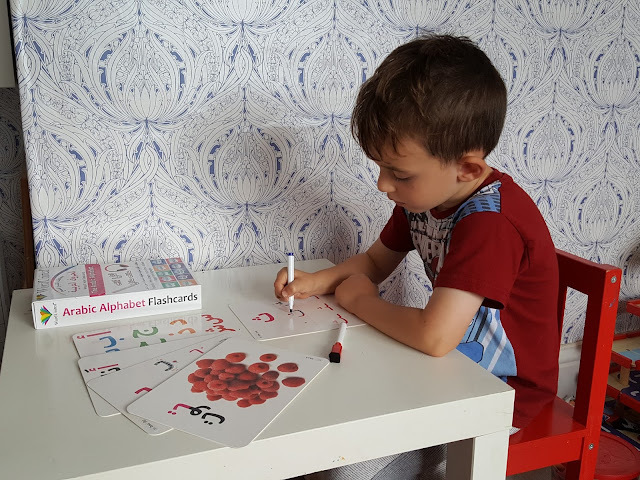 If you have 2 sets of the same flashcards, you can use them to play a 'match the pairs' game. This does not work with double sided cards. Turn them all over so they are face down. Take turns to turn over the cards, two at a time, and see if you can find a matching pair. Each time you turn over the card, say the word or letter printed on it. Select a card and cover it so your child cannot see it. Slowly uncover it and ask the child to guess what the picture is. 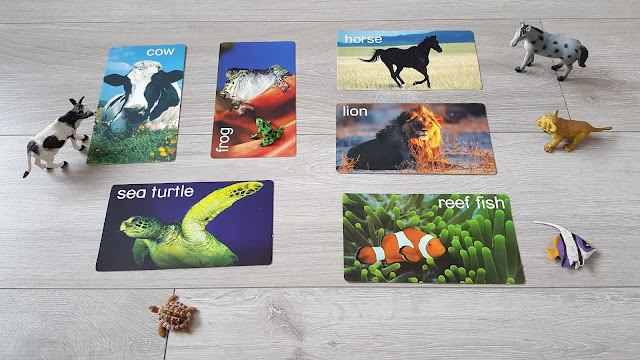 I hope this has given you some ideas of how you can use flashcards to help with language learning. There are many more ways you can use them too; get creative! How do you use flashcards?